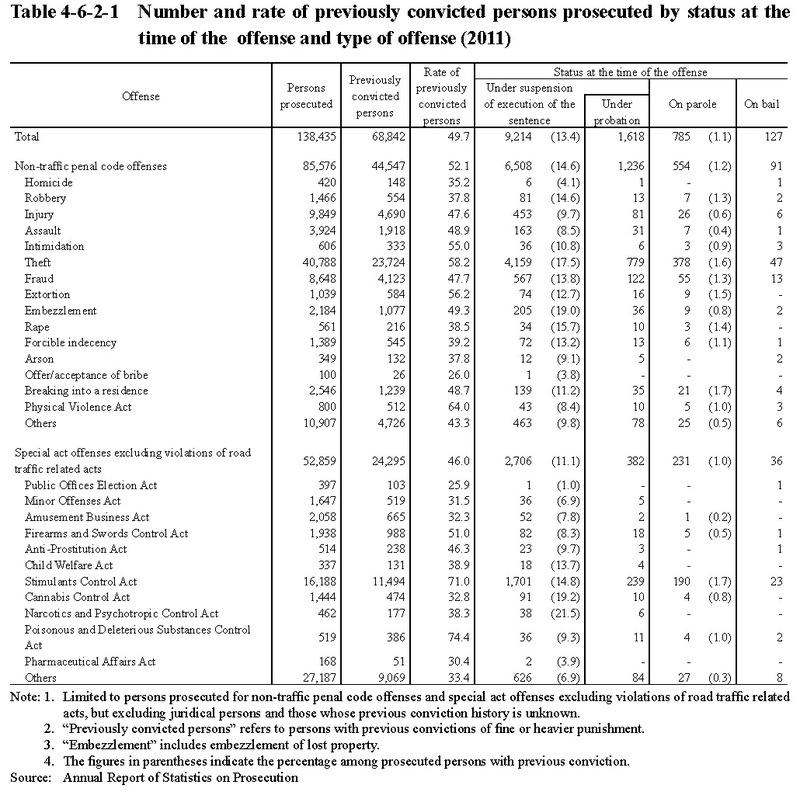 Table 4-6-2-1 shows, of persons prosecuted in 2011, the number of previously convicted persons (limited to persons with previous convictions of fine or heavier punishment; hereinafter the same in this subsection), the rate of previously convicted persons (refers to the percentage of previously convicted persons to persons prosecuted; hereinafter the same in this subsection), by their status at the time of the offense (under suspension of execution of the sentence, on parole, or on bail) by type of offense for which they were prosecuted. 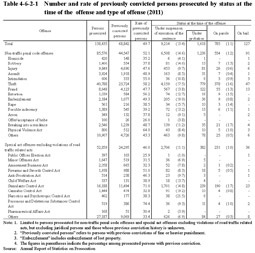 The rate of previously convicted persons among those prosecuted for all non-traffic penal code offenses and special act offenses excluding violations of road traffic related acts was 49.7%. By type of offense, it was high at over 60% for Physical Violence Act violations, Stimulants Control Act violations, and Poisonous and Deleterious Substances Control Act violations.